We decided to work more with players based in Tunisia in preparation for African Championship 2018 last January. For this reason, we worked every week on Monday and Tuesday morning. One week was in the capital, next to South in Sus, where we have a lot of players. We were working with 36 players here in Tunisia and 5-6 who are playing outside. This season there are much more players abroad – 13,14. We keep the same. I work with the clubs, make some programme, but it is different as we have more players outside. Nowadays, conditions in Tunisian clubs are not very good, so we can expect more players to go abroad to play. For the moment, I am here, working with them, following trainings, watching videos, following players all around Europe. Is it better to work with them in Tunisia or to get them from European clubs with some new experience? This is a little bit weird, but the good point in Tunisia is that national team is very important. Domestic competitions will end in November, so that means with local players I can work whole December. We have one month to work. Quality and especially a load of training is not on the same level as in Europe. Players coming in better psychical condition and with better tactical understandings in the national team, but we don’t have time to work with them. With domestic players you have three weeks more, you can only adjust things and make them ready for the competition, but you can’t change a lot of things. To make a change, you need daily work. I miss that here. Clubs in Tunisia need to work more especially in psychical part. Tunisian U18 have five players taller than 200cm and less than 85 kilos. Can you imagine? They don’t work enough in their clubs. However, we have to deal with that. It was a good experience for us. Good chance to play with team like Croatia, good knowledge what we have to do, to make steps forward. I signed three-years contract in 2017. My goal was to change psychology of the team, to replace some players and arrive in 2020 with some solid group, knowledge and competence. We had 8 new players at African Championship. The Group is almost done. Good point is that we don’t have 14,15 players, but group of 30 who can play on similar quality. It’s a big group, so we can change players and react in case of injuries. Every player in Tunisia knows that he can be a part of this group if he deserved. Our goal is to be ready for 2020. They will improve a lot with him. He has four or five players outside of the country, so most of the team is at home which means that he will have all the facilities to work. I am sure that Egypt will be stronger with him. We spoke, we will try to help each other to improve. Rivality between two nations is very big. Always is a lot of pressure. We won 2018 African Championship, people expect to repeat it in front of home crowd in 2020, but I am completely sure that Egypt won’t be on level before Davis. We will be stronger also. I attended one press-conference during Qatar 2015 with Sead Hasanefendic, the most successful coach of Tunisian NT (4th place at WCh 2015), and witnessed tremendous pressure on coach from media. Tunisian journalists screaming on him, it was total madness. Do you feel the pressure? I agree with you, they lost a little bit reality about situation in handball. You need to check how many players playing at high-level clubs. Maybe they are there, but not with big roles which had Hmam or Tej for example. Some of them are in France, some players in Romania, Jallouz who is starting in Berlin. It’s not the same generation, but true is that media pressure is very high. I will always remember Press conference before African Championship when some journalists asked me “am I ready as I have never lead NT on big competition?”. 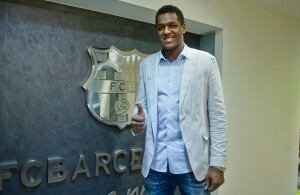 I told them that I am working for many years in handball (16 years at FC Barcelona) and that I am sure that we can do. Pressure is huge also on players. You know, Islamic revolution is done via social media, all people are always searching on Facebook, all of them have their opinion. After success at African and Medditeranean, I always trying to calm down and say “look, our level now is still far, far away from European level. It is like this. We are far from them psychically and technically.. He was injured after WCh 2017 in France, it was two-three times, it wasn’t fixed, he couldn’t jump and run, so he went down. After that he had problem with eye infection. He playing in defense, improving as he was in Barcelona. He never was in national team since I came here. Of course, if player is injured and not in the playing form, we must take another one. I hope in next EHF week we will have him to see and put him in group. He will be very useful if he would be ready for World Championship 2019. I want to have few leaders in few different players. Jallouz can help us a lot, but there are also some players which can take this role like Tej, Meganem, had it before. What is your ambition at World Championship 2019 in group with Norway, Denmark, Austria, Chile and Saudi Arabia? Target must be to progress to the Main Round. It will be really hard. We have to beat Chile with Matteo Garalda and Saudia Arabia with Marian Ortega. Austria beat Tunisia last time, Norway and Denmark are much much better than us, but we have to try to find our chances. We must try to beat Norway at the start, first match is tough for anyone, but reality is different, our feet have to be on the ground. If we beat Austria, Chile and Saudi Arabia it will be a big, big success for us. At the end of your journey, hopefully in Tokyo 2020, what will be the results which would make you totally satisfied? 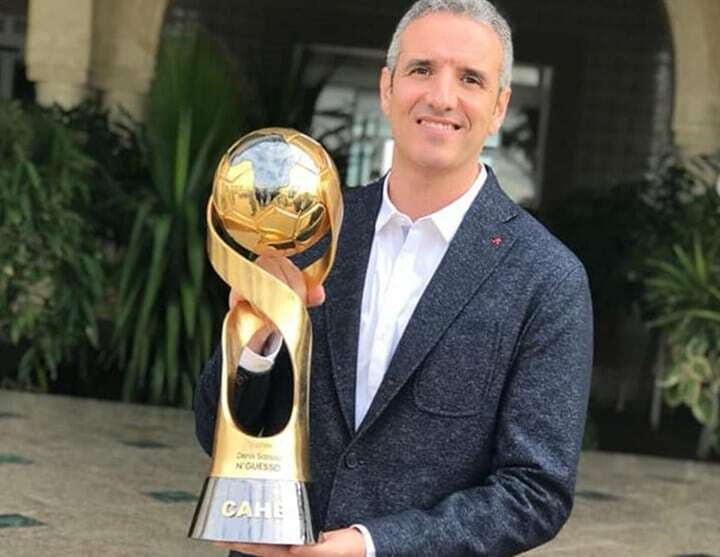 Uh, to get Main Round 2019 and win African Championship at home. After that, we could improve result with NT in Rio, where they ended last. That would be nice, with gold from African 2018 and Meditteranean silver medal. Spanish coaches making tremendous successes all around the world. Where is the secret of Spanish coaching school? We are good cooks. We are able to arrive at different places, to check which kind of ingredients we have and with this we are able to cook something good. It’s a huge difference between, for example, Manolo Cadenas and Valero Rivera styles. They are not the same. Each coach has his own personality. He gave his torch in different teams where he is working. Spanish coaches are generally good in tactical thing, how to play in each moment, to adjust on different task in defense. I am watching a lot of videos of national team and clubs. Where is Spanish coach, there is more order. You can recognize that this team playing on this way in attack and defense. In the same time, there is ability to change some things quickly. Some older schools are orientated to individuals. For example, skills of Danish players are amazing, no one passing better than them, or shooting. They made a lot, but we are giving tactical touch to each team. We are managed to lead teams with ingredients which we have. Where is born school of Spanish coaches? One is from Catalonian coaches, Rivera, Pascual, Sabate, and other from Cental Spain, Manolo Cadenas, Jota, Raul Gonzales, Juan Carlos Pastor. If you check how playing Szeged or La Rioja or Raul with Vardar, it’s similar, of course, with different players, but you can find many similar things. 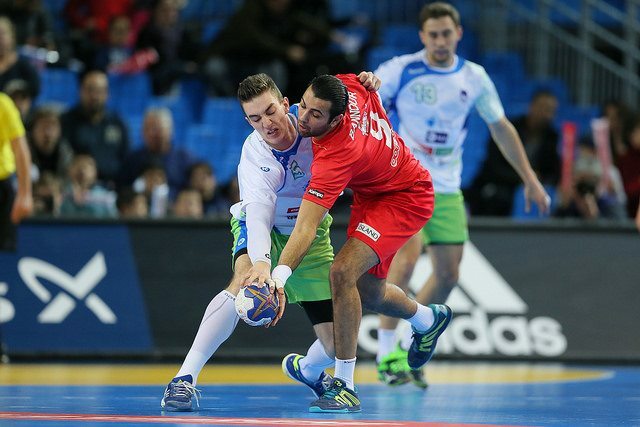 What makes you nervous nowadays, what you would like to change in handball rules? To remove this seventh player, for sure. It is so boring to see so many goals without goalkeepers. We don’t play basketball, our goal is bigger, I don’t like that shooting without defense. It is like this in the moment and we have to use it, but I don’t really like that. Also, time in attack, we need a shot clock, we have to have 24,30 seconds, I don’t know how much, but it will be very good for handball that is not just criteria of referees. Now, we have six passes, but everything is based on their subjective opinion. Clock will be much better. Where you want to see yourself in five years? I had very good time in Qatar, it is OK in Tunisia, I will try to be a good place and work a lot. I will try to return back to some club, I miss daily work, I miss more competition. 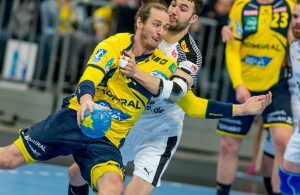 I had enough time to learn, see a lot of matches and trainings of other coaches, but I would like to work more, to be in good project where I can make something good – concluded Toni Gerona for Handball-Planet.com. ← Previous Story DKB Bundesliga: SC Magdeburg on 6/6, DHfK Leipzig take points from Mannheim! Next Story → KIF Kolding went bankrupt?